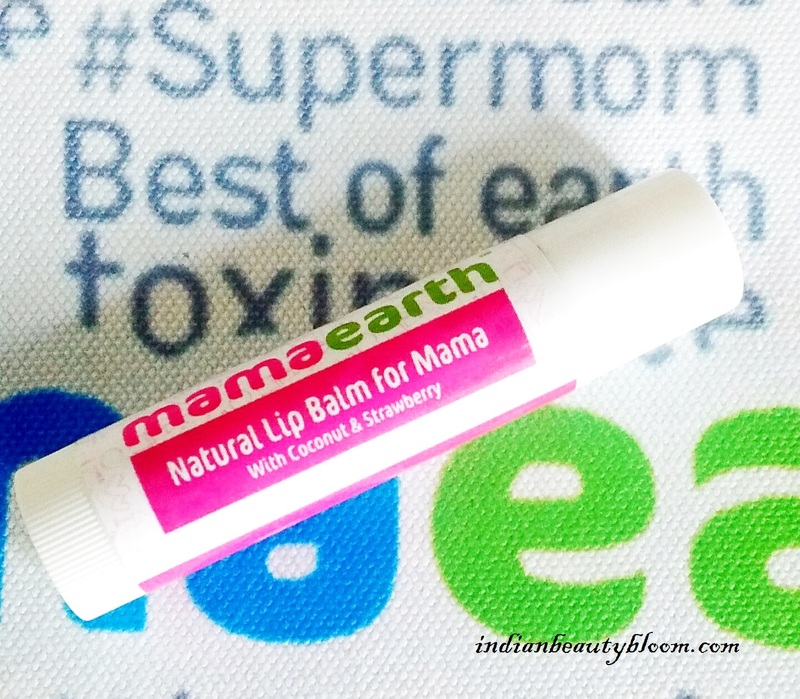 Today I am going to review a new launch from India’s famous brand Mama Earth . This Month they have launched some new products for babies and this Natural Lip balms are a part of it . So we have a set of three lip balms for Papa , Mama & Baby . 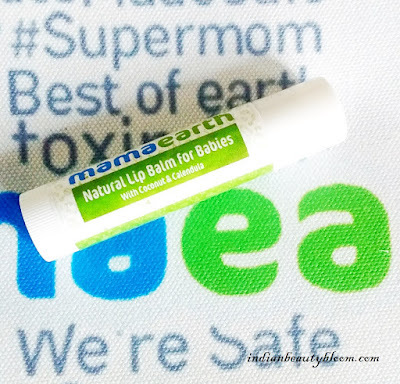 These Lip Balms are in Stick form so Hygienic and easy to use . 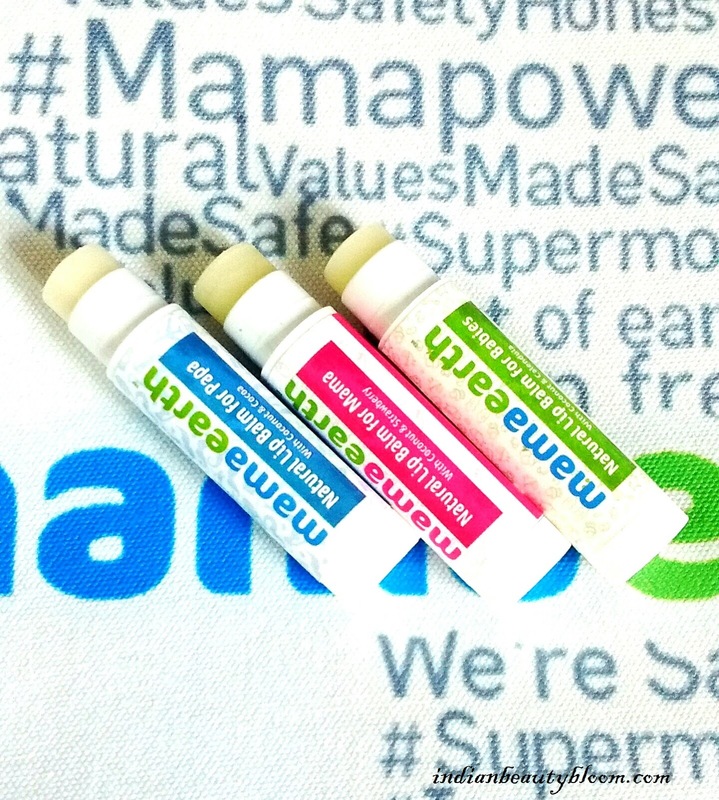 These are natural lip balms with no artificial color or fragrance , So these are White in color . Price : Rs 299 for three . So these are reasonably priced and are affordable . Which is too good . These are made for Papa’s and their main ingredients are Coconut Oil & Cocoa . This one is for mama’s . It’s main ingredients are Coconut Oil & Strawberry . These are meant for baby’s . It’s main ingredients are Coconut Oil & Calendula . 1. Free of Paraffin wax , Mineral Oil , SLS . 2. Free of artificial color & fragrance . 3. Has goodness of Coconut oil , Shea Butter , Cocoa Butter , Calendula . 4. Has Orange Essential Oil which has healing properties . 5. Calendula Extract makes skin smooth . 6. Cocoa Butter & Shea Butter moisturizes the skin . 7. Coconut oil has antibacterial properties . 8. Excellent product packaging , which is Hygienic . 9. Travel friendly pack , can be easily carried on bag or purse . 10. 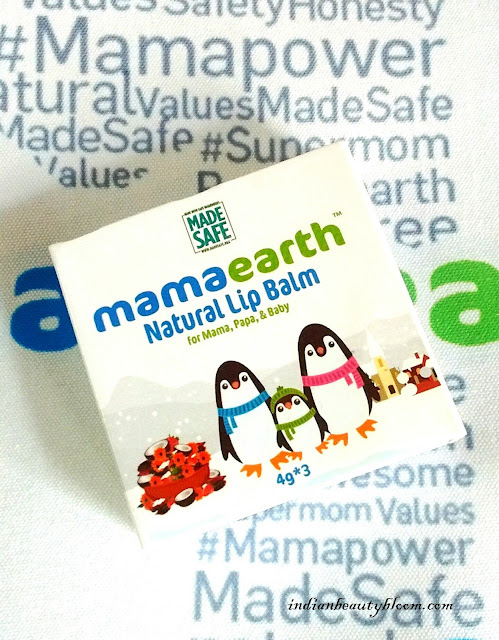 It Moisturizes the lips and prevents drying & chapping . 11. 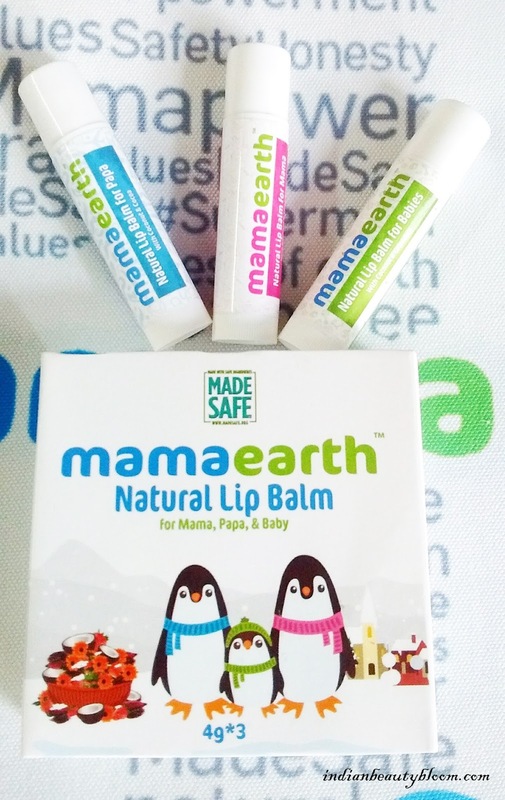 Since a natural & chemical free product one can use even for small kids . I am using the Mama Lip balm ( Strawberry One ) past few days . It’s a good product . 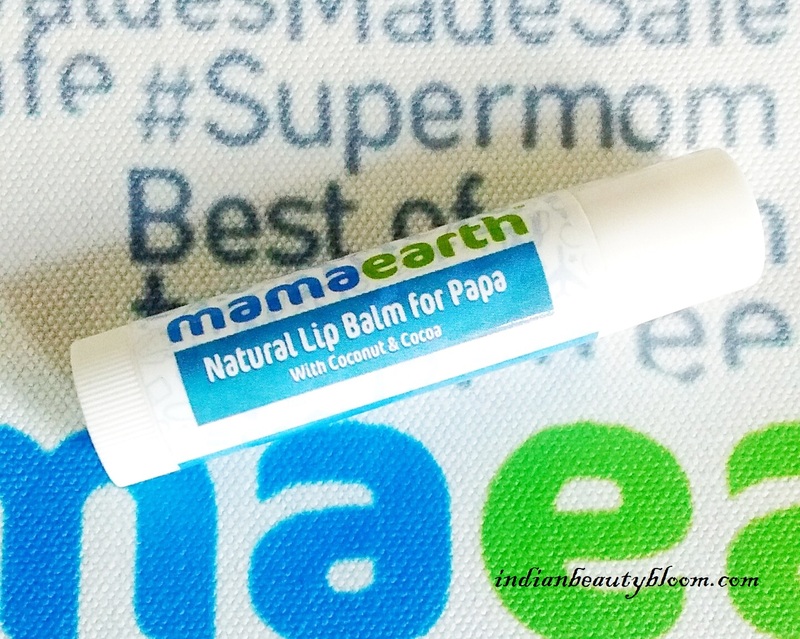 Moisturizes the lips and protects from drying & chapping , good for Winters , can be used through out the year as Lip Balm is an integral part of our skin care routine . Staying period is 2-3 hours after which one needs to reapply this . 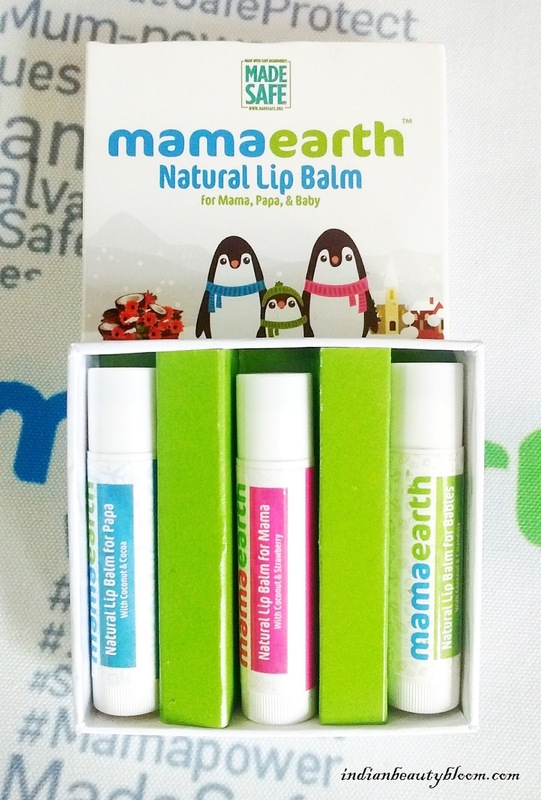 These lip balms are quite less in price than Lip Balms from other Natural brands and so are easily affordable , the best part is they are toxin free and Safe to use . One can these lip balms directly from their website or from online stores like Amazon or Nykaa. Hope You all liked this post & found it useful .